A Mercury Marine Authorized Parts & Service Dealer, we provide complete repair and maintenance services for all boat makes and models. Take advantage of our in-house upholstery and canvas repair services. Our skilled seamstress is in Mondays to Fridays - come get a quote today! Get your boat ready for summer with ourin-house paint and fiberglass repair, interior/exterior cleaning, and polish and wax services. Fill up on mid-grade, premium and diesel fuel, while perusing our wide range of parts, accessories and convenience items. Come check out our store! We're excited to announce that we're now Authorized Dealers of Henley aluminum boats! 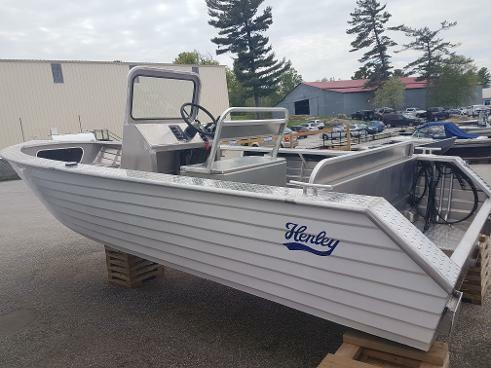 Henley is the oldest heavy aluminum boat manufacturer in Ontario and has built their reputation on their exclusive lapstrake sides that give their boats greater strength, more durability and the ability to handle more horsepower foot for foot. Best of all, every Henley boat comes with a LIFETIME warranty against hull cracking. With a number of customizable features from hull size and horsepower to interior and landing craft options, we will ensure your boat is designed for your specific need. 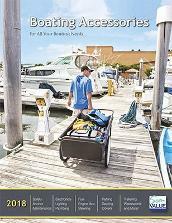 We're excited to offer new online catalogs for your boating needs. The catalogs offer thousands of competitively priced, name brand products from major marine manufacturers.